Experienced Solicitor with in excess of 40 years practice in a large commercial solicitors firm and a Big Four Accountancy firm. Set up practise as a Sole Practitioner in July 2009 in Dun Laoghaire. 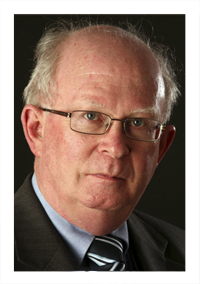 Michael is a current member of the Law Society of Ireland Guidance & Ethics Committee. Secretary to the Faculty of Notaries Public in Ireland. A CEDR accredited mediator and a CIArbMed accredited mediator by the Chartered Institute of Arbitrators. A past Chairman and Hon. Treasurer of The Chartered Institute of Arbitrators – Irish Branch, having served on the Committee of the Irish Branch for twelve years. A former member of the Law Society of Ireland Arbitration & Mediation Committee (Chairman 2006/2007). Admitted to the Roll of Solicitors in Ireland, England and Wales and in Northern Ireland.